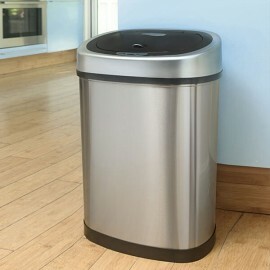 The elegant and stylish Oval Series motion sensor bin is available in a range of sizes and has become the popular choice of kitchen motion sensor bins for households in the United Kingdom. With 8L, 12L, 42L and 50L capacities available it's easy to understand why the Autobin Oval have become our bestseller. 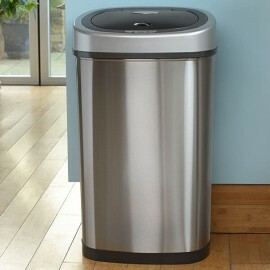 Our 50L & 8L Oval Combo is very practical and ensures that both kitchen bin and bathroom bin are hygienic and touch free. Touchless waste disposal makes for a more hygienic and sanitary household and reduces cross-contamination and the spreading of germs. 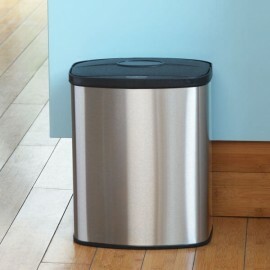 Great for nappys, sanitry towels and toilet wipes our 8L bathroom bin has a tight fit lid to lock in germs and odours. The touchless design means your sensor bin won't slide on tiles or laminate flooring and stays beautifully looking for longer than other bathroom bins. The touch-free technology of the 8L kitchen worktop bin allows you to dispose of any waste in a simpler, quicker and more hygienic way. Benefit from a well-thought stainless steel design and the most innovative motion sensor technology. 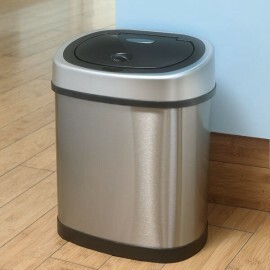 The 12L waste paper bin may be the most versatile bin of the series as its compact but wide design makes it ideal for reception areas and workplace environment. Thanks to its technology and stainless steel finishes, it works perfectly without compromising the environment’s decoration. With the right capacity and its stainless steel finishes, the 42L small kitchen bin is going to look and work perfectly wherever you decide to place it. Its innovative motion sensor eliminates the need of touching the lid, therefore reducing cross contamination. 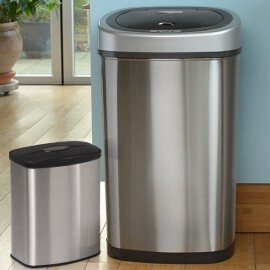 The 50 litre smart bins are ideal for larger families or workplace settings as their capacity allows you to dispose of more waste without wasting any space. 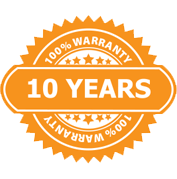 Their automatic motion sensor makes them just perfect and helps to prevent cross contamination. Two of the most popular stainless steel bins in just one big kitchen bins sale. Do not lose the chance of getting these innovative and stylish items for your kitchen, room or workplace. They will look great in the same room or in two separated rooms.